You have 1960 characters. Don’t forget to add important and relevant keywords in your description to improve your iTunes app page and optimize your SEO. The all-new, awesomely redesigned UberSocial. Everything you expect from UberSocial and everything you could want from your Twitter app. - Say hello to the UberBar…a movable, hide-able menu that puts all functionality at your fingertips. - Also joining the party are the all-new UberTabs...compose a Tweet or view your notifications with just 1-click. 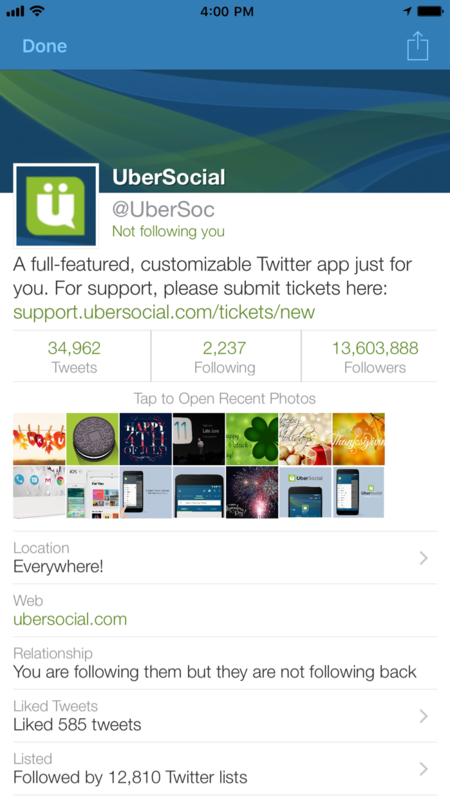 - Now you can swipe your way through all of your UberSocial screens with a flick of your thumb. - With LiveLinks, all URLs, @usernames and #hashtags are directly clickable on your timeline…no more clicking through multiple screens. - Photos and other images look amazing right in the timeline and can auto-expand with just one click. - Play YouTube videos directly within your timeline! - Tweet your “Now Playing” or your last photo taken with all new shortcuts. - Experience the familiar UberSocial friend and hashtag pickers, brand new to iPhone. 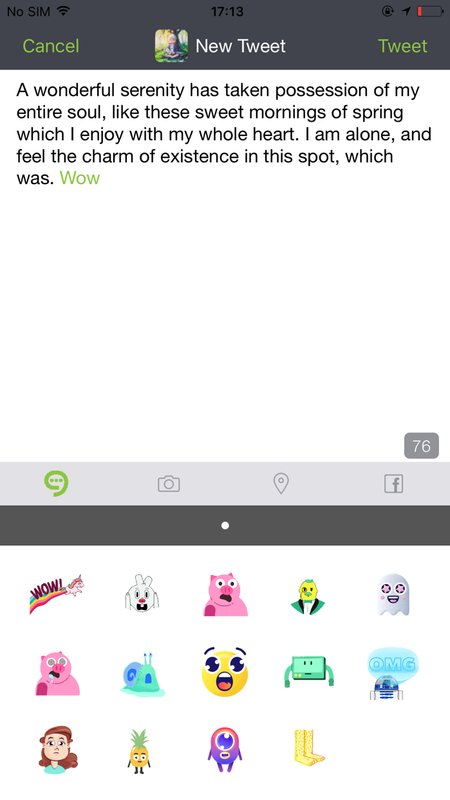 - Have some fun by selecting from dozens of emoticons right from the compose screen! - Cross-post to Facebook with just one-click. - Looking just for rich media…check out the Picture Stream. - Follow a select group of friends in your custom Inner Circle. 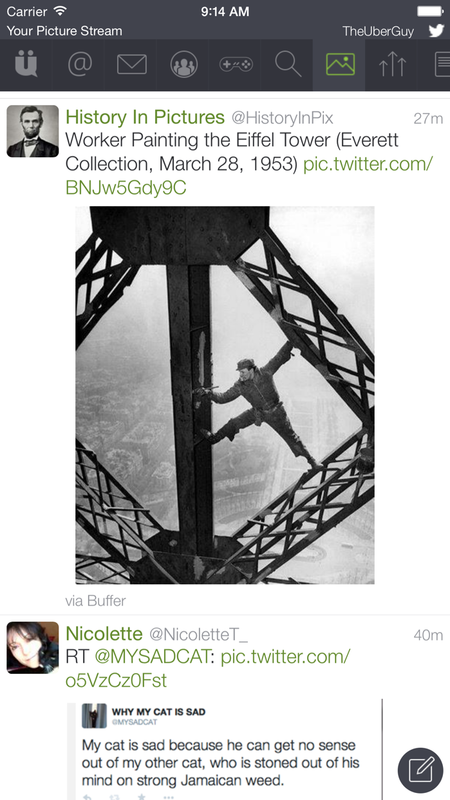 - Automatically send tweets over 280 characters with our built-in tweet extender. - Easily connect to and switch between multiple Twitter accounts. - Turn your volume up and enjoy our all-new sound effects. - Easily surf the Twitter-verse with our advanced search and trending screens. - Manage and edit your profile.